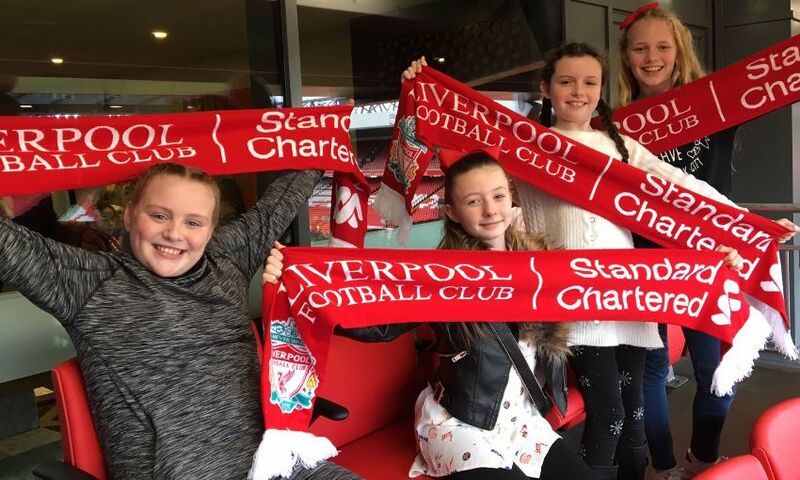 A young Liverpool fan from a local primary school enjoyed a day out she will never forget at Anfield on Saturday after receiving tickets as a reward for her work in the community. Milly Healy, aged 10, from St Francis de Sales Catholic Junior School, started an initiative to help the homeless in her local community and was rewarded by the club's 'Red Neighbours' programme for her hard work. Huge Reds fan Milly said: "I love helping people and I came up with the idea to help the homeless because some of my family work for homeless charities in Liverpool. "I decided to put together Dignity Bags which included soap, toothpaste and deodorant to give out to the homeless people in my local community, and as we were celebrating the Feast of St Francis de Sales at school, we made it a part of that. "As a reward, I was given four tickets to the Liverpool match and got to choose three of my friends to bring along with me. "I was so happy when I found out because I've never been to the match before. Getting to spend the day with my friends and see a game at Anfield for the first time has been a great experience." The 'Red Neighbours' programme supports local residents and schools in the Anfield community, focusing on four key areas of need after extensive research with the local Anfield community. These areas include: food poverty and education; support for the elderly community; encouraging a physically active community; and creating memorable experiences for young people.